NIHB Announces New Board Executive Committee! NIHB publishes weekly newsletters to keep Tribal leaders, public health program directors, providers, and advocates up to date on the latest news impacting Indian health. The HHS Annual Tribal Budget Consultation will be hosted by HHS next week on April 23 - 24, 2019 in Washington, DC. Click here for the Dear Tribal Leader Letter (DTLL) announcing the session and here for the final agenda. A planning call for any final questions will be held Wednesday, April 17 at 3:00 PM ET. Call details can be found in the attached DTLL. If you plan to attend the consultation, please RSVP to [email protected] with your name, title, and Tribe. If you plan on sending a designee, they should also RSVP. *Please note, per the HHS Tribal Consultation Policy, non-elected Tribal designees must present a letter of designation on Tribal letter head to IEA before participating in the consultation. The case holds tremendous potential for impact to Indian Country. The ACA incorporated the Indian Health Care Improvement Act (IHCIA) through reference and was permanently reauthorized when Congress passed the ACA. In addition to the IHCIA, the ACA included other important Indian-specific provisions integral to the Indian health system. A court ruling that invalidates the ACA also jeopardizes the IHCIA and Indian specific provisions of the ACA. The National Indian Health Board (NIHB), along with 483 Tribes and Tribal organizations, worked with the law firm of Hobbs Straus Dean & Walker, LLP to file an amicus brief that argues that the IHCIA and Indian-specific provisions are “severable” from the ACA and should be protected no matter what the 5th Circuit decides with respect to the rest of the ACA. That brief was filed on April 1. HRSA announces upcoming webinar on the Shortage Designation Modernization Project (SDMP). The webinar will provide information about the national update of automatically designated Health Professional Shortage Areas (HPSA) for summer 2019. The webinar will also provide dedicated time for Tribes and Urban Indian organization leaders to provide input on the project. You can view the full announcement here. NIHB CEO, Stacy A. Bohlen, Speaks About Opioid Crisis in Indian Country on Democracy Now! Today the President released his fiscal year (FY) 2020 Budget Request to Congress. This document contains funding recommendations to Congress as it begins to draft next year's appropriations bills. After 15 years of practice in the United States, dental therapists are expanding access to oral health care in a number of states where they practice as part of dental teams. Despite the documented success, the majority of people in Indian Country and in the U.S. as a whole cannot get care from these dental professionals. Community Catalyst and the National Indian Health Board are launching the National Partnership for Dental Therapy to accelerate the authorization of dental therapists nationwide so that people can get care where and when they need it, in their own communities. SDPI Renewal Efforts Already Underway, Your Help Needed! The Special Diabetes Program for Indians (SDPI) is one of the most successful public health programs in Indian Country. During the lifetime of the program, the rate of End Stage Renal Disease among the American Indian/Alaska Native population has plummeted by 54%! Without renewal from Congress, the program will expire on September 30, 2019. The House Diabetes Caucus, led by Reps. Diana DeGette (D-CO) and Tom Reed (R-NY) have issued a letter to House leadership asking for their support for SDPI and the Special Diabetes Program (SDP), which funds research into Type 1 Diabetes. A letter for Senators will be available in the near future. The last time a letter for SDP and SDPI was circulated, over 75% of Congress signed on! During his 2019 State of the Union Address, President Trump announced that his Administration will be putting forth a national strategy for ending new HIV infections in the United States by the year 2030. In addition to the President's announcement, on Friday February 8, the U.S. Department of Health and Human Services (HHS) posted a request for information (RFI) on the Federal Register soliciting public comment on the next iteration of the National HIV/AIDS Strategy (NHAS) and the National Viral Hepatitis Action Plan (NVHAP) - both of which currently expire next year. 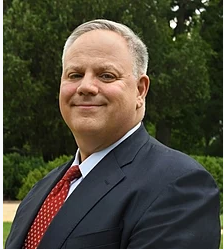 On Monday, President Trump announced that David Bernhardt would be the next Secretary of the Interior. Bernhardt has served as Acting Secretary since former Secretary Ryan Zinke announced his departure from the agency in January. Bernhardt's background is in energy and natural resources policy. Because the Department of the Interior oversees the Bureau of Indian Affairs and the Bureau of Indian Education, as well as other agencies working in Indian Country, the Secretary often works closely with Tribes. The position is subject to confirmation by the Senate. Last Friday, President Trump signed a Continuing Resolution (CR) reopening the agencies that were subject to the federal government shutdown. Under the CR, these agencies, including the Indian Health Service, will receive funding through February 15, 2019. Employees who had to work without pay during the shutdown or who were furloughed will receive back pay under the terms of the CR. These 800,000 employees had missed two pay checks during the shutdown. Additionally, the end of the shutdown means that the Indian Health Service can resume its payments to Tribes operating their own health systems, something the agency's leadership said it planned to do as soon as possible. On January 17, 2019, NIHB submitted comments to the U.S. Department of Health and Human Services (HHS) on their proposed objectives for Healthy People 2030. Every ten years, the Healthy People initiative establishes core objectives and health topic areas to guide HHS in its efforts to improve the health of all Americans. The Healthy People framework acts as a blueprint that helps inform the major health goals and priorities of the department and its agencies including the Indian Health Service, Centers for Disease Control and Prevention, Substance Abuse and Mental Health Services Administration, and other agencies. The Healthy People initiative is managed by the Office of Disease Prevention and Health Promotion at HHS. To access NIHB’s comments, click HERE. You can access all of NIHB’s Comments HERE. This afternoon, President Trump announced an agreement between himself and Congressional leaders to end the partial government shutdown, currently in its 35th day. While this agreement will not supply funding for a border wall, the central issue of disagreement leading to the shutdown, the President said that Congress would study the issue. On January 10, 2019, eight national Tribal organizations, including the National Indian Health Board (NIHB), submitted a letter to the president and bi-partisan congressional leadership urging immediate action to end the partial government shutdown that is disproportionately impacting American Indian and Alaska Native Tribal Nations. The letter highlighted the shutdown’s impact on Tribal economies, access to healthcare, Tribal self-governance, and Indian housing, education, nutrition, and child welfare. WASHINGTON, D.C. | On the 20th day of the government shutdown, eight national Native organizations are jointly urging the President and Congress to immediately end the partial government shutdown, which breaks the treaty and trust obligations the federal government owes to tribal nations. The organizations jointly sent a letter to Congress and the President outlining the wide-ranging impacts of the shutdown on Indian Country. As the government shutdown reaches its 20th day, leaders across a spectrum of health, public health and civil rights organizations call on Congress and the President to immediately reopen the government. Today is the 13th day of the partial government shutdown, and the federal agencies impacted are beginning to see their services effected as carry over funds diminish. Tell Congress How the Shutdown is Harming Your Tribe's Health! Today, January 3, 2019, marks the 13th day of the partial government shutdown. The Indian Health Service (IHS) is one of the agencies affected by the lapse in funding, and both Direct Service and Self Governance Tribes have been impacted. The federal government may be undergoing a partial shutdown if Congress fails to pass a Continuing Resolution (CR) by the end of the day today, December 21, 2018. At the time of this writing, it is unclear if the Congress and the President will reach an agreement to keep the government open by tonight. President Trump has indicated that he will not sign legislation that does not fund the border wall. Senate Democrats have said that they will not accept that option. Today the 116th Congress took the oath of office and began its two-year term. With Democrats in Control of the House and Republicans in the majority in the Senate, Congress is divided for the first time since 2014. As NIHB detailed in a webinar analyzing the results of the 2018 midterm elections on Indian health, the new Congress includes four members of federally-recognized Tribes, the most ever in the history of Congress. Committee assignments for the two newly elected Tribal women, as well as the 88 other Congressmembers elected for the first time, will be known in the very near future. As expected, former Speaker Nancy Pelosi (D-CA) reclaimed her place as the top member of the House, a post which she held from 2007-2011. While there had been some doubt as to whether the House Democrats would continue to support Pelosi, who has led the caucus since 2004, she won a crucial caucus vote following the 2018 elections. Pelosi has demonstrated familiarity with the federal government's trust responsibility to provide health to Tribes and has been a supporter of many of Indian Country's health priorities. Today, December 20, 2018, the U.S. Commission on Civil Rights released "Broken Promises: Continuing Federal Funding Shortfall for Native Americans". The Commission evaluated whether the federal government is meeting its trust responsibilities to the Tribes by examining federal budgets and agency spending of on programs or initiatives designed to meet the needs of American Indian/Alaska Native (AI/AN) and Native Hawaiian communities, including programs under the Departments of Health & Human Services, Interior, Housing & Urban Development, Justice, and Education. In the report GAO compared the funding levels of IHS, the Veterans Health Administration (VHA), Medicare, and Medicaid. It looks at funding levels from 2013 through 2017 and analyzed budget and program documents from the four programs to determine total annual spending levels and spending on a per capita basis. The report found that IHS's per capita spending was $4,078, compared to $8,109 for Medicaid, $10,692 for VHA, and $13,185 for Medicare. The report highlights that IHS has a different by design form the other federal healthcare providers, in that it has smaller facilities that are more rural, and often offer mostly primary and emergency care services. In addition, the IHS and VHA depend on funding levels that are subject to the annual appropriations process, meaning that per capita spending could drop, with more people being served. On October 22, 2018, The Department of Health and Human Services (HHS), issued a Dear Tribal Leader Letter (DTLL), requesting feedback from Tribal representatives on HHS' Tribal Consultation Policy (TCP). The TCP is reviewed periodically. The original deadline for comments was December, 19, 2018 but thanks to Tribal advocacy, this deadline has been extended for 90 days and comments will now be due on Friday, March 15, 2019. What HHS can do to improve their activities to ensure an effective and meaningful Tribal Consultation Policy? On Friday December 14, 2018, United States District Judge for the Northern District of Texas, Reed O’Connor, ruled the Patient Protection and Affordable Care Act (ACA) (P.L. 111-148) to be unconstitutional after twenty states filed lawsuits in February 2018 arguing that the entire law was invalidated after congress repealed the individual mandate to purchase health insurance. The individual mandate – which was repealed as part of the Tax Cuts and Jobs Act of 2017 – was a central pillar of the health law that required individuals who could afford health coverage to obtain health insurance or face a financial penalty or tax. The National Indian Health Board is pleased to announce that Congressman Tom Cole of Oklahoma (Chickasaw Nation) will receive the 2018 prestigious Jake White Crow Award. This award recognizes an individual or organization with outstanding lifetime achievements in elevating health care advocacy, raising awareness or affecting positive change for American Indian and Alaska Native health care. The Congressman, one of only two American Indians in Congress, has been a champion for Indian Country throughout his career. He is a visionary leader in the U.S. Congress when it comes to ensuring that the federal government meets its trust responsibility to American Indians and Alaska Natives (AI/ANs). As a senior member of the House Appropriations Committee, Cole has been instrumental in securing funding for all of Indian Country by constantly advocating on behalf of the Tribes and educating his colleagues about the federal trust responsibility to Tribes. He chairs the subcommittee on Labor, Health and Human Services, Education and Related Agencies. In this role, he has worked to ensure that the Indian health system receives equitable funding across the Department of Health and Human Services. He also serves on the Appropriations subcommittee for Interior, Environment and Related Agencies appropriations where he has been a strong advocate for increased Indian Health Service funding. In the time that Congressman Cole has served on that Subcommittee, IHS funding has increased by $2 billion. Outside of the Appropriations Committee he serves as the Co-Chair of the Congressional Native American Caucus and in that role he works to ensure that the federal government honors its promises to American Indians and Alaska Natives in all legislation considered by Congress. "I am thrilled that the Board has chosen to honor Congressman Tom Cole as the 2018 Jake White Crow Award winner. His leadership in Congress has advanced the needs of Indian health," said NIHB Chairman Vinton Hawley. "Mr. Cole works tirelessly to ensure that the federal government fulfills its trust responsibility for health and protects Tribal sovereignty at every turn" continued Chairman Hawley. The National Indian Health Board (NIHB) is a 501(c) 3 not for profit, charitable organization serving all 573 Federally recognized Tribal governments for the purpose of ensuring that the federal government upholds its trust responsibilities to provide health care to the Tribes. NIHB also works to elevate health care status, services and systems of the Tribes and our Peoples. Please visit this link for more information and to purchase tickets. Tribes Must Redouble Advocacy Efforts to Protect Gains and Continue Momentum! 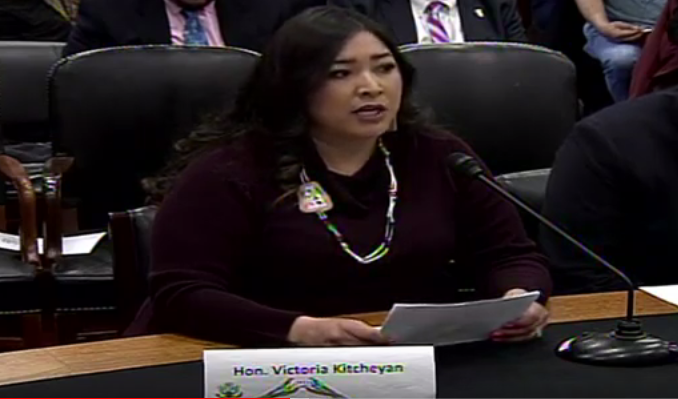 Yesterday, June 25, the House Appropriations Committee announced that it was postponing one of its last remaining mark-ups, delaying a vote on a bill crucial to public health programs in Indian Country. The mark-up for the Labor-HHS Appropriations bill had been scheduled for today, June 26, but will now take place after the July 4th Recess. The House Natural Resources Committee Ranking Member Raul Grijalva (D-AZ) and Representative Nanette Barragan (D-CA) hosted a Natural Resources Roundtable Conversation on Environment and Public Health. The roundtable brought together a broad coalition of stakeholders working to improve the health of communities impacted by environmental impacts. The group highlighted the health challenges faced by communities across the United States related to air pollution, water contamination, and irresponsible mining and land management practices, among other concerns. Stacy Bohlen, CEO of the National Indian Health Board (NIHB) participated in the roundtable to advocate for the environmental public health concerns of Tribes. Ms. Bohlen stated, "American Indian and Alaska Native people have lived for thousands of years in harmony with our surrounding environments, taking what we needed from the land for physical, cultural, and spiritual purposes. Tribal practices and lifeways were sustainable over time, and protected the health of current and future generations." She shared that, despite this tremendous respect for the environment, Tribes now find this harmony and balance slipping away as industry creates negative impacts that are far reaching and long lasting. The need for Trial consultation in regards to public health was stressed by Ranking Member Grijalva, who emphasized that Tribal public health concerns should not be considered "after the fact" – rather, Tribes should have the opportunity to share their unique perspectives, needs, and experiences before any decisions or actions are taken. Both Ranking Member Grijalva and Representative Barragan look to continue dialogue with organizational partners, to highlight environmental impacts on health, and galvanize action that can disrupt and prevent these health impacts from harming community health, especially those most vulnerable among us like children and elders. The National Indian Health Board will continue to work with the House Natural Resources Committee to ensure that the public health concerns of American Indians and Alaska Natives are addressed. The National Indian Health Board (NIHB) recently testified before two congressional committees on the need to improve the response to the opioid crisis in Tribal communities. On March 14, 2018, NIHB Treasurer and Bemidji Area Representative Samuel Moose testified before the Senate Committee on Indian Affairs in a hearing titled: "Opioids in Indian Country: Beyond the Crisis to Healing the Community." On March 22, 2018, NIHB Chief Executive Officer Stacy A. Bohlen testified before the House Energy and Commerce Committee at a hearing titled, "Combating the Opioid Crisis: Prevention and Public Health Solutions." President Trump announced today that, despite several objections to funding levels in the bill, he supported the Fiscal Year (FY) 2018 Omnibus. He signed the Omnibus into law shortly after 1:00 Eastern. This means that the government will be funded through September, the end of FY 2018. Today, February 21, 2018, the White House announced that Robert Weaver, Quapaw Tribe, has submitted his withdrawal from consideration as Director for the Indian Health Service (IHS). Finish the Job and Renew the Special Diabetes Program! Today, Stacy A. Bohlen, Chief Executive Officer of the National Indian Health Board, in partnership with the Juvenile Diabetes Research Foundation, called upon Congress to reauthorize the Special Diabetes Program and the Special Diabetes Program for Indians in the Continuing Resolution that Congress will pass next week in order to keep the federal government funded past February 8. On January 18, 2018, NIHB Executive Director Stacy A. Bohlen participated in a roundtable with the Senate Committee on Indian Affairs titled "Advancing Native Food Traditions in Indian Country." The purpose of the roundtable was to discuss Tribal policy recommends for the upcoming reauthorization of the Farm Bill.